This paper describes Syrian emigration to Turkey since 2011, and the forms of organization in which Syrian refugees have engaged. It provides figures on the number of Syrian refugees in Turkey inside and outside the camps and the places of their distribution in Turkey, by province. The paper also studies this distribution according to three factors: the nature of asylum (individual/group), the ethnic factors for the groupings, and investment associations. It examines the fissures in the relations between the Syrians in Turkey (based on the region, class, or profession within the Syrian institutions). In addition, it addresses forms of solidarity within Syrian communities in Turkey and inside Syria. These forms of solidarity are classified into three categories: economic, relief, and cultural and political. The paper concludes that the Syrian elite, with its various specializations, was not immune from the situation in Syria; rather the elite also continues to provide support within Syria, and looks forward to the post-conflict phase, in which it can participate in all aspects of reconstruction. The world is currently experiencing the largest mass movement of people since World War II due to increased tensions and conflicts across the planet, including in Syria. Turkey is an example of a country experiencing the ramifications of this migration and is ideal for investigating the case of the Syrian refugee. Turkey, as a result of its support for the Syrian revolution, has received the largest number of Syrian refugees and has become a center of activities for the Syrian opposition’s institutions as well as for the Syrian elites affiliated with relief efforts. This study will explore the forced migration of Syrian refugees to Turkey from 2011 and the various groups the refugees have created. Additionally, the article will highlight the forms of solidarity in Turkey among the Syrians worldwide. In order to do so the study will identify the institutions and circumstances behind this solidarity in addition to scrutinizing the relationships between Syrians in Turkey and their weaknesses. Moreover, this article examines of the role of the Syrian elite in the persistence or strengthening of these fragile relationships. In this context, the vision of the Syrian elite in Turkey and their role in the reconstruction of their country in the post-conflict period is analyzed through a series of interviews with prominent figures in the economic, cultural and professional domains in the Syrian community in Turkey. According to the UNHCR Some 2.7 million Syrian refugees currently reside in Turkey. However, the figures given by the Turkish Ministry of the Interior state that 2.969 million Syrian refugeeshave come to Turkey. It is estimated that fifty-three percent of Syrian refugees in Turkey are women and children under the age of eighteen. Only twenty-eight percent of the refugees fleeing Syria actually entered Turkey legally while approximately sixty-nine percent entered Turkey illegally without any official papers. Approximately 258,000 refugees live in twenty-five camps throughout ten towns scattered along the Turkish-Syrian border, while the remainder, about eighty-five percent of the total refugee population, lives in cities and towns throughout the country. The residents of the camps come largely the Syrian countryside adjacent to the Turkish border, such as Aleppo, Idlib, Hama, Lattakia, Raqqa, Deir al-Zour. These areas have been the epicenter of the conflict. The majority are from lower social classes but, in rare cases, some come from middle-class families of farmers and workers who fled the violence and precarious economic situation in search of safety and a better livelihood. The Syrian refugees who have rebuilt their lives outside the camps generally belong to the middle-class and a large percentage of them have a significant amount of capital. In fact, due to the lack of services and difficulties accessing schools in the camps any Syrian with the means to rent a house will leave the camps1A series of telephone interviews with some residents of the camps on the Turkish border between 10-15 July 2017. The information about the Syrian camps in Turkey is limited to the accounts of refugees from the camps. The Turkish government prohibits filming in or entering the camps unless it is for visiting a relative there or with the approval of a Turkish government institution. (Interviews conducted in Arabic).. However, even the Syrians capable of leaving the camps choose to register in order to obtain the assistance afforded to the camps’ residents, such as food baskets and medical assistance2Arab Commission for Human Rights (2012), a report entitled: Displaced Persons in Syria and Syrian Refugees in Lebanon, Jordan, Egypt, Turkey and Iraq.. The Syrian population living outside the camps is distributed across the Turkish provinces in varying percentages as shown in the following table3Find out about the distribution of the Syrians and their percentage to the indigenous people in the Turkish provinces. Source mentioned above..
Several factors affect the geographical diffusion of Syrians in Turkey outside the camps as demonstrated by the table above. Some of these circumstances include: the nature and time of the refugee’s arrival to Turkey, ethnical groups, and the presence of Syrian businesses. The nature and time of a refugee’s arrival to Turkey is one factor that influences their geographical location in the country.There were three main waves of Syrian refugees arriving in Turkey. The first one spans from the second half of 2011 to the second half of 2013. Refugees arriving in Turkey consisted of individual cases such as activists, people involved with the media and relief efforts as well as dissidents from military and civil institutions along with their families4Dr. Ahmed Mohamed Tuzan, the phenomenon of Syrian asylum between needs and policies. Reference mentioned above. (Source in Arabic).. During this wave the majority of Syrian opposition institutions, which focus on issues relating to the media, politics, and relief efforts, were established. Relief effort groups were established in border towns, where as political and media activities, on the other hand, were either founded in Istanbul or Gaziantep5A telephone interview with Dr. Ahmed Al-Qurbi (Researcher at the Syrian Dialogue Center). Dr. Qurabi has been a resident in Turkey for the past 5 years. 26/8/2017. (Interview conducted in Arabic).. The second wave occurred between the last quarter of 2013 and the middle of 2014. This period is characterized by a collective refugee movement as a result of an escalation in military operations and the use of explosive barrels in the shelling of Syrian cities. Due to the prevalence of violence during this time the number of Syrians in Turkey multiplied, and the Syrian communities took on regional identities in the Turkish border cities6 A telephone interview with Mr. Anas Shehab (Director of Rizk Foundation for the operation of the Syrians in Turkey). A resident of Turkey for the past 4 years. 25/8/2017. (Interview conducted in Arabic).. The third and final wave began in early 2015 and continues to this day. Unlike the previous two waves the motivation behind this final one was economic. Due to the large numbers of refugees fleeing to Europe many positions within Syrian and Turkish institutions, where Syrians make up the majority of the work force, were vacant. Refugees from both regime and opposition-controlled areas traveled to major cities in Turkey in search of work. This also coincided with renewed recruitment campaigns in the regime held areas, forcing many young men of recruitment age to escape to Turkey7Previous Source.. The geographical repartition of Syrian refugees in Turkey is also linked to ethnic groups. Some Syrian minorities have preferred to gather in specific areas within Turkey where their ethnic group has already established a presence, such as Turkmens who settled in the towns of Yayladagi and Osmaniye8Interview with Dr. Muhammad al-Abdullah (member of the Syrian Turkmen Council in Turkey) A resident in Turkey for the past 4 years. 17/7/2017. (Interview conducted in Arabic).. The Syrian Kurds chose to establish themselves in the southern provinces where the Kurdish populations are prevalent. Settling in areas based on ethnic groups facilitates the integration of Syrian refugees into these communities due to pre-existing relationships and connections as well as linguistic similarities. Finally, other refugees have chosen to migrate to cities where Syrian businesses are already established. The Syrian capital which has entered Turkey since 2011 is estimated to be around ten billion dollars. Approximately 1122 companies were established by Syrians in 2014 alone, making up twenty-six percent of the total foreign companies founded in Turkey that year. The Syrian business community is concentrated largely in the cities of Gaziantep, Istanbul, Bursa, as well as in Mersin, a popular city for the Syrian business community as well as the upper-middle class9Previous source.. Since 2011 various divides between the Syrian community in Turkey have appeared. These rifts are largely along regional, societal, and professional lines. Geographical differences are the most obvious divide between the Syrian community in Turkey. The majority of refugees from one Syrian province usually settle in the same Turkish city. These regional divisions are evident in many areas, especially in the workplace. Syrian business owners prefer to employ people from their hometowns and provinces10Interview with Dr. Ahmed Al-Qurbi (Researcher at the Syrian Dialogue Center). Reference previously mentioned. (Interview conducted in Arabic)., as the majority of Syrian institutions are run with regional mentalities. The Syrian relief and media organizations have centered their work solely on certain regions, cities, and provinces. As a result, some areas of Syria received less support, in terms of relief and media, compared to other areas11Interview with Mr. Anas Shehab (Director of Rizk Foundation for the employment of Syrians in Turkey). Previous reference. (Interview conducted in Arabic).. This created a sense of injustice and marginalization among the people of certain regions, most notably the population of the eastern provinces12Interview with the Syrian journalist Ghaith Al-Ahmad. A resident in Turkey for the past 5 years. 23/8/2017. (Interview conducted in Arabic).. Connections between Syrians in Turkey have also been undermined by societal divisions.According to official statistics about 650 thousand Syrians are currently employed in Turkey. Approximately five percent work in Syrian institutions and the rest in Turkish institutionsunder harsh working conditions where they do not always enjoy the same rights as their Turkish counterparts. The unemployment rate among Syrians in Turkey is fifty percent, and the per capita purchasing power of Syrians does not exceed two dollars a day13The Turkish Human Development Association (İNGEV) and the institute of French studies (IPSOS). A special study on the situation of Syrians in Turkey, reference cited above.. This dire reality for the majority of Syrian refugees has created a wide class divide between the employed and the unemployed. Additionally, a new Syrian middle class who have found work in institutions associated with the political opposition has emerged in Turkey. These societal differences are reflected in the residential neighborhoods of the Turkish cities. These divisions are also apparent through the relationship between the Syrians in Turkey and those still in Syria. Social rifts appear in the form of accusations of "corruption and the exploitation of the revolution" against the Syrians in middle and upper classes in Turkey. This has created a sentiment of mistrust towards the opposition’s institutions present in Turkey14Interview with Sukrat al- Alaw (Syrian researcher). A resident in Turkey for the past 3 years. 23/8/2017. (Interview conducted in Arabic).. There have also been rifts between the Syrian refugees within the professional community in Turkey. As a result of a high unemployment rate and few employment opportunities, many Syrians in Turkey are now employed within Syrian institutions in areas outside their specialties. For example, many lawyers and engineers found employment as editors for Syrian newspapers or as teachers in Syrian schools. This has created tensions between refugees who feel it is unjust for others to enter their fields and specialties without any prior experience15Interview with Dr. Ahmed Al-Qurbi (Researcher at the Syrian Dialogue Center. Reference cited above. (Interview conducted in Arabic).. Despite these various divides the Syrian refugees are united on two fronts: sectarian and political. Sunni Arabs constitute the vast majority of the Syrian refugees in Turkey, and as a result there is no sectarian conflict in the community. Likewise, opposition to the regime is a prevalent stance among Syrians in Turkey and a significant percentage of refugees left Syria due to economic reason unrelated to the injustice perpetrated by the Syrian regime. Therefore, political rifts are largely absent in the Syrian community in Turkey. Syrian refugees in Turkey have re-created their communities back home, resulting in regional and class divisions among the refugees. However, interactions between Syrian children in Turkey who from various Syrian regions has encouraged interactions between the refugees and as sparked an interest in discovering other local cultures. Relationships between the refugees have also been strengthened through marriages between Syrians from different regions. Additionally, these regional and class divides disappear in the face of any external threat, such as when Turkish groups attack the refugees’ residential or commercial areas as these incidents are frequent in cities with a large Syrian population. As a result of the discrimination of Syrian refugees in Turkey various forms of solidarity have been established. Syrian refugees in Turkey suffer from complex problems largely related to their legal status in Turkey. They are considered guests under the protection of Turkey, or Kimlik, instead of refugees entitled to international protection under the 1951 Geneva Convention16Dr. Ahmed Mohamed Tuzan. The phenomenon of Syrian asylum between needs and policies. Reference cited above. (Source in Arabic).. Additionally, the Turkish government does not offer programs to integrate Syrian refugees into Turkish society, which is culturally, linguistically and socially different. This lack of integration creates obstacles to finding employment in Turkey. Syrian refugees can obtain permission to work legally and the authorities do tend to overlook illegal workers17Arab Commission for Human Rights (2012), a report entitled: Displaced Persons in Syria and Syrian Refugees in Lebanon, Jordan, Egypt, Turkey and Iraq. Reference cited above. (Source in Arabic)., however these workers lack health insurance, labor rights, are paid low wages, and are subjected to ill-treatment. Syrian refugees, as a result of unemployment, are not integrated into the Turkish financial sector18Dr. Abdullah Hamada (2014). The Syrian Refugee Crisis in Turkey (Challenges and Scenarios of Solution, Syrian Economic Forum. Reference cited above. (Source in Arabic)., only four percent of Syrians have a bank account and only two percent have a credit trust in a Turkish bank19The Turkish Human Development Association (İNGEV) and the Institute of French Studies (IPOSOS), a special study on the situation of the Syrians in Turkey. Reference cited above.. The many obstacles facing the Syrian community in Turkey are intertwined with the internal difficulties in Syria, including inflation, education and relief efforts, most notably in the liberated areas. This has resulted in various forms solidarity in various fields, such as economic, relief efforts, and political. In the economic domain private Syrian investments emerged in various Turkish cities. Despite their profit base, they have contributed greatly to alleviating the suffering of refugees and to resolve some of their greatest obstacles in Turkey. These investments have strengthened the Syrian community in Turkey through opening factories producing well-known Syrian products and by managing shops that sell these products in Turkish cities with large Syrian populations20Some of the names of the food brands that were widespread in Syria and were reproduced by refugees in Turkey (Al-Durra, Bin Al Olabi, Abu Samra, Shamsin bread, Dima wipes, Mortadella, and other food products).. Additionally, these investments aided the establishment of private Syrian medical clinics that employ Syrian doctors and offer low-cost medical services compared to their Turkish counterparts. Likewise, Syrian schools and legal offices that serve as intermediaries between the Syrians and official Turkish institutions were also outcomes of these investments. These private funds have improved the lives of Syrian refugees in Turkey as well as strengthening solidarity through creating a semi-integrated Syrian society and providing jobs for thousands of Syrians. Funds are also sent from Syrians in turkey to their families back in Syria, creating solidarity between the refugees and their home country. These transfers play a large role in alleviating some of the dire economic conditions in Syria that persist to this day. The majority of these transfers are carried out through unauthorized Syrian channels due to a lack in communications with Turkish financial institutions, in part due to the language barrier and the complex procedures, and the monitoring of international transfers to Syria. Due to the unofficial nature of these funds it is difficult to retrieve official figures regarding these transfers. However, one of the transfer officers located in Gaziantep estimated the average amounts transferred monthly by him alone to Syria amounted to more than $ 30,00021Interview conducted with the owner of a money transfer office in the city of Gaziantep (who declined to be identified). 20/07/2017. (Interview conducted in Arabic).. Money is not the only good to move from Turkey to Syria. Many refugees send clothes, medicines and other supplies to their relatives in liberated areas of Syria. Solidarity efforts have also occurred in relief work.More than thirty Syrian organizations are active in relief related activities throughout Turkey as well as in the liberated areas within Syria. These organizations implement projects to better the lives of Syrian refugees. These projects receive funding from the United Nations as well as international charitable organizations. The Syrian relief organizations in Turkey are divided into two groups: local organizations serving a specific geographical area and the national organizations covering the opposition-controlled areas inside Syria. The activities of both groups focus on education, healthcare, food distribution, access to potable water, agricultural support, sponsorships for orphans as well as psychological support especially for women and children. In Turkey, donations and non-institutional relief campaigns are organized by activists to support areas subjected to the Syrian regime’s military campaigns and forced displacement. These campaigns are often carried out in a regional manner, and the activists normally have close ties to the targeted areas22Interview with Ahmad Ali, a relief activist. (A resident of Turkey for the past five years). 13/8/2017. (Interview conducted in Arabic)..
Additionally, solidarity efforts have also occurred through cultural and political activities. 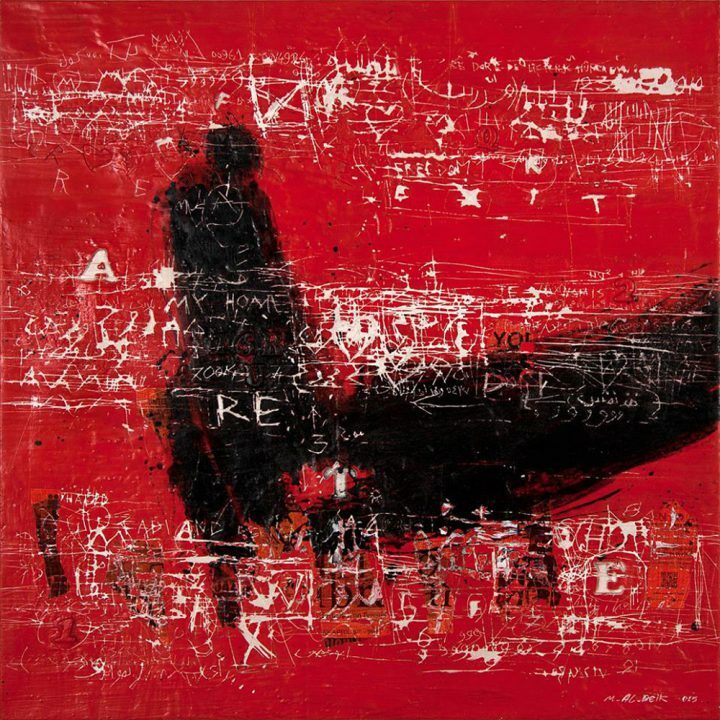 Within the Syrian community in Turkey, culture and politics overlap and many working in cultural fields, such as artists and intellectuals, are now involved in politics. Therefore, the cultural effort serves the Syrian political situation and its developments through institutions run by the opposition, most notably the Syrian Studies Centers. These centers organize seminars as well as regular political and cultural meetings in Turkey and Syria23Interview with Dr. Hossam El Saad (Director of Social Research Unit at Hermon Center for Studies). 16/8/2017. (Interview conducted in Arabic).. In addition to the study centers, the media institutions in Turkey play an important role in training activists inside Syria. These institutions offer courses in the Turkish cities near the Syrian borders24Interview with Abssi Semism (Editor-in-Chief of the Sada Al-Sham newspaper in Istanbul). 18/8/2017. (Interview conducted in Arabic).and cooperate with international organizations that support alternative media25A telephone interview with Jawad Sharbaji (Editor-in-Chief of Anab Baladi newspaper). 18/8/2017. (Interview conducted in Arabic).. Likewise, Syrian civil society organizations in Turkey endeavor to assist local communities in the liberated areas. These organizations organize free courses in human development, local administration and political empowerment26A telephone interview with Salim Al-Khatib (Director of Al-Sham Amana Foundation). 5/8/2017. (Interview conducted in Arabic)..
On the other hand, Syrian political parties that emerged after 2011 have been active in several areas with the Syrian community in Turkey. However, it is worth noting that these parties were active in the framework of party propaganda to attract new members, especially among the young generation. In addition, the activities of the political blocs based on national affiliations, the Syrian Turkmen’s parties and the Kurdish National Council, are bound to the framework of that national component. While the activities of the Syrian religious institutions operating in Turkey after 2011 instead relied on lectures, seminars and religious dialogues. However, some Syrian religious personalities played individual roles such as mediation in resolving differences within the Syrian community or facilitating a rapprochement between the Turkish government’s policies and the Syrian community27Sasha al-Alawi (2017). Political occurrences in the Syrian Revolution (trends, weights, and tasks). Unpublished research. (Source in Arabic).. This section will explore the Syrian elites’ vision for post-conflict reconstruction. Research was carried out through interviews and studying responses to a questionnaire distributed to a sample of six individuals. Of these individuals two obtained a doctorate, two more have a master's degree, one is a doctor, and one completed an undergraduate program. The participants are employed in a variety of fields including: scientific research, healthcare, media, investment, education, and relief efforts. The interviewees have already spent between three and six years in Turkey and only one is not in possession of a Syrian passport, but has American citizenship. Since leaving Syria, only one participant has returned due to work with the relief efforts. The interviews and questionnaire covered a wide range of topics, such as: interest in Syria, involvement with the revolution, participation in the future Syria, the diaspora, reconstruction, and future investment opportunities. Every participant expressed an increased interest in the Syrian issue following the events in 2011. This growth ranged from following and analyzing the media coverage to directly participating in protests and revolutionary bodies. These varied responses may be due to age differences as those directly involved in the protests were under the age of thirty in 2011. However, from the responses it is clear that the Syrian elite in Turkey are up to date with events in Syria, which could be contributed to the fact that Turkey has become a center for the Syrian opposition and its institutions. coordinating committees to strengthen the revolutionary movement in Syria. When questioned about their desire to participate in a future Syria, all six participants expressed their intention to be involved in a post-conflict Syria. Most plan to contribute within the field of their specialty. From these responses, it is evident that there is a state of nostalgia to return to Syria and to contribute through the work force. Furthermore, three percent of the interviewees are willing to collaborate with all sectors as long as the work has a defined legal framework. However, half of the participants would prefer to work with civil society organizations and local authorities. Only seventeen percent would choose to join forces with the private sector. As the majority of the Syrian elite already contribute to civil society organizations it is not surprising that the largest percent of the interviewees would collaborate with them. Furthermore, half of the participants believe that Syrians in the diaspora must focus their efforts on teaching, training, and coaching. Almost seventeen percent of those surveyed focused on the importance co-existence, while a further seventeen percent prioritized supporting civil society. A final seventeen percent argued the diaspora should establish Syrian collective awareness. It is interesting to note that the Syrian elite in Turkey focus on the individual and society as vital for the future Syria, and issues relating to the economy and infrastructure take second place. When participants were questioned about their possible fields of involvement in the reconstruction of Syria, their answers were related to their various professional specializations. These included education, health, media and investment. It is important to note that the interviewees showed little desire to engage in politics. However, two-thirds of participants would consider investment opportunities in their field of work or in academia in a post-conflict Syria. Only one-third had no interest in investing in Syria in the future. The participants had mixed responses when questioned about the possibility of returning to Syria. One-third would only consider returning if the security situation drastically changed following the end of the conflict. Another third stipulated a regime change as their number one priority before returning to Syria. The final third would only make their way home if they could return to their regions and provinces. From these responses it appears as though the Syrian elite are political realists as they prioritize returning due to an improvement in the security situation instead of political solution. When the topic of trusted organizations for aid delivery was approached, some tensions became clear. Only six percent of the interviewees trust the local Turkish institutions and organizations delivering aid. This is a serious indicator of mistrust between the Syrian elite in Turkey on the one hand and the institutions responsible for the relief effort and the delivery of aid to Syria on the other.The issue of trust was once again vital when considering sources of information. Half of the participants rely on international organizations, while seventeen percent prefer think tanks, another seventeen percent trust news publications, and a final seventeen percent depend on information issued by national institutions. The results reflect a gap in trust between the Syrian elite in Turkey and local media institutions and research centers. However, the Syrian elite appears to have a stronger relationship with local councils. Half of the participants trust local councils while a further third have confidence in local council because they were elected. Only seventeen percent reported to not trust these councils and consider them a product of chaos. The results reflect considerable confidence in the local councils by the Syrian elites in Turkey, which may be indicative of the Syrian elites' acceptance of a less centralized governance structure in Syria. Additionally, various factors could hinder the participants’ participation in a post-conflict Syria. These include, the presence of corruption, the marginalization of a certain population, dependency on external support, opportunistic groups, the lack of safety, the existence of sectarian divisions, the political use of aid, and instability. This shows that patriotism drives the Syrian elite in Turkey and shapes the level of cooperation with the organizations delivering aid to Syria. The conditions of Syrian refugees in Turkey are relatively better than their counterparts in the other neighboring countries, albeit the existence of some legal problems. In Turkey refugees enjoy the freedom of movement, assembly and solidarity which has contributed to the creation of small Syrian communities within Turkish cities. The Syrian elite, institutions, and Turkish position towards the Syrian conflict have played a significant role in the creation of solidarity between Syrians in Turkey and Syrians still in Syria. The Syrian elite, from different professional backgrounds, is still connected to the Syrian situation. They continue to support those inside Syria and aspires to be part of the reconstruction of a post-conflict. 1. ↑ A series of telephone interviews with some residents of the camps on the Turkish border between 10-15 July 2017. The information about the Syrian camps in Turkey is limited to the accounts of refugees from the camps. The Turkish government prohibits filming in or entering the camps unless it is for visiting a relative there or with the approval of a Turkish government institution. (Interviews conducted in Arabic). 2. ↑ Arab Commission for Human Rights (2012), a report entitled: Displaced Persons in Syria and Syrian Refugees in Lebanon, Jordan, Egypt, Turkey and Iraq. 3. ↑ Find out about the distribution of the Syrians and their percentage to the indigenous people in the Turkish provinces. Source mentioned above. 4. ↑ Dr. Ahmed Mohamed Tuzan, the phenomenon of Syrian asylum between needs and policies. Reference mentioned above. (Source in Arabic). 5. ↑ A telephone interview with Dr. Ahmed Al-Qurbi (Researcher at the Syrian Dialogue Center). Dr. Qurabi has been a resident in Turkey for the past 5 years. 26/8/2017. (Interview conducted in Arabic). 6. 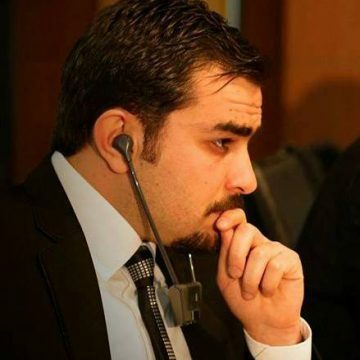 ↑ A telephone interview with Mr. Anas Shehab (Director of Rizk Foundation for the operation of the Syrians in Turkey). A resident of Turkey for the past 4 years. 25/8/2017. (Interview conducted in Arabic). 8. ↑ Interview with Dr. Muhammad al-Abdullah (member of the Syrian Turkmen Council in Turkey) A resident in Turkey for the past 4 years. 17/7/2017. (Interview conducted in Arabic). 10. ↑ Interview with Dr. Ahmed Al-Qurbi (Researcher at the Syrian Dialogue Center). Reference previously mentioned. (Interview conducted in Arabic). 11. ↑ Interview with Mr. Anas Shehab (Director of Rizk Foundation for the employment of Syrians in Turkey). Previous reference. (Interview conducted in Arabic). 12. ↑ Interview with the Syrian journalist Ghaith Al-Ahmad. A resident in Turkey for the past 5 years. 23/8/2017. (Interview conducted in Arabic). 13. ↑ The Turkish Human Development Association (İNGEV) and the institute of French studies (IPSOS). A special study on the situation of Syrians in Turkey, reference cited above. 14. ↑ Interview with Sukrat al- Alaw (Syrian researcher). A resident in Turkey for the past 3 years. 23/8/2017. (Interview conducted in Arabic). 15. ↑ Interview with Dr. Ahmed Al-Qurbi (Researcher at the Syrian Dialogue Center. Reference cited above. (Interview conducted in Arabic). 16. ↑ Dr. Ahmed Mohamed Tuzan. The phenomenon of Syrian asylum between needs and policies. Reference cited above. (Source in Arabic). 17. ↑ Arab Commission for Human Rights (2012), a report entitled: Displaced Persons in Syria and Syrian Refugees in Lebanon, Jordan, Egypt, Turkey and Iraq. Reference cited above. (Source in Arabic). 18. ↑ Dr. Abdullah Hamada (2014). The Syrian Refugee Crisis in Turkey (Challenges and Scenarios of Solution, Syrian Economic Forum. Reference cited above. (Source in Arabic). 19. ↑ The Turkish Human Development Association (İNGEV) and the Institute of French Studies (IPOSOS), a special study on the situation of the Syrians in Turkey. Reference cited above. 20. ↑ Some of the names of the food brands that were widespread in Syria and were reproduced by refugees in Turkey (Al-Durra, Bin Al Olabi, Abu Samra, Shamsin bread, Dima wipes, Mortadella, and other food products). 21. ↑ Interview conducted with the owner of a money transfer office in the city of Gaziantep (who declined to be identified). 20/07/2017. (Interview conducted in Arabic). 22. ↑ Interview with Ahmad Ali, a relief activist. (A resident of Turkey for the past five years). 13/8/2017. (Interview conducted in Arabic). 23. ↑ Interview with Dr. Hossam El Saad (Director of Social Research Unit at Hermon Center for Studies). 16/8/2017. (Interview conducted in Arabic). 24. ↑ Interview with Abssi Semism (Editor-in-Chief of the Sada Al-Sham newspaper in Istanbul). 18/8/2017. (Interview conducted in Arabic). 25. ↑ A telephone interview with Jawad Sharbaji (Editor-in-Chief of Anab Baladi newspaper). 18/8/2017. (Interview conducted in Arabic). 26. ↑ A telephone interview with Salim Al-Khatib (Director of Al-Sham Amana Foundation). 5/8/2017. (Interview conducted in Arabic). 27. ↑ Sasha al-Alawi (2017). Political occurrences in the Syrian Revolution (trends, weights, and tasks). Unpublished research. (Source in Arabic).